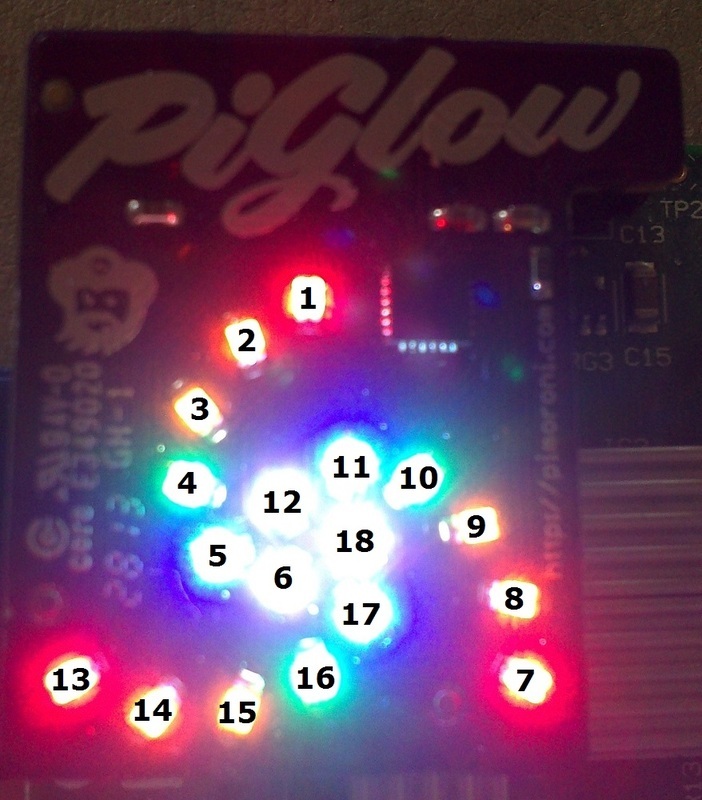 PiGlow is a nifty LED spiral that fits onto the GPIO board of your Pi, then you can create a cool hypnotising light display. Watch your retinas as the LEDs are extremely bright, like lasers! Type the codes below into the file and control x to exit, you will be prompted to save, make sure your do! Each LED is numbered as shown in the diagram below. They can be enabaled with the code pg.led(13, brightness,) , where the brightness is a level between 0 and 200. BUT watch your eyes!